Members of the U.S. Congressional Delegation touring a typical village in the drought struck areas of Bihar. United States Information Service. 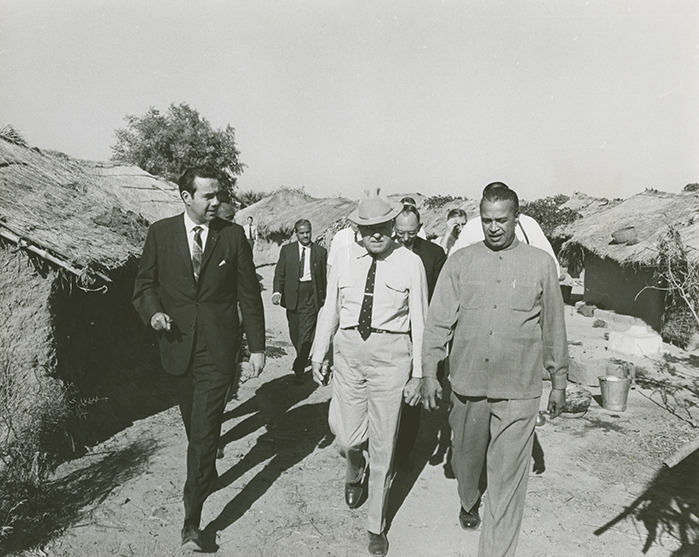 "Photograph of the Congressional Delegation touring an Indian village." Dole Photograph Collection, Box 16, Folder 7, Robert J. Dole Archive and Special Collections, University of Kansas. Accessed 19 April 2019. http://acsc.lib.udel.edu/items/show/107. Food relief, American -- India. United States. Congress. House. Committee on Agriculture.